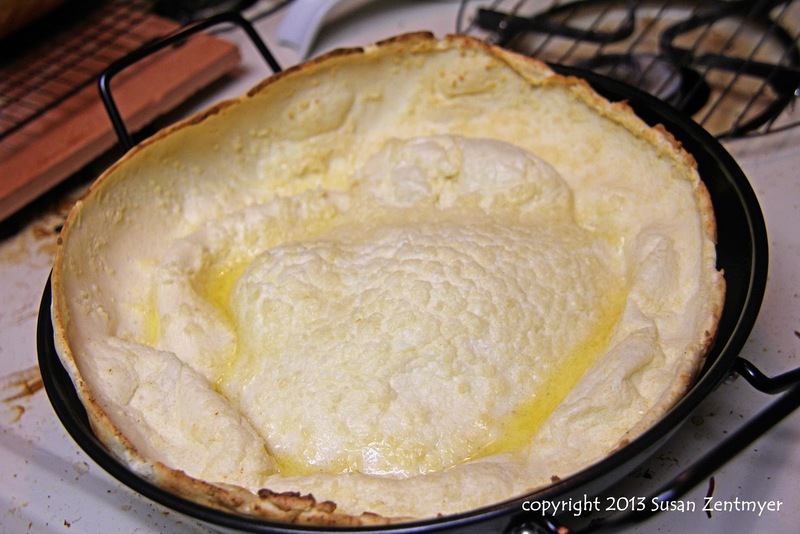 I got a Dutch Baby Pan (pannekoeken pan) for Christmas this year. Pannekoeken is a Dutch pancake - thinner than an American pancake and thicker than a crepe. 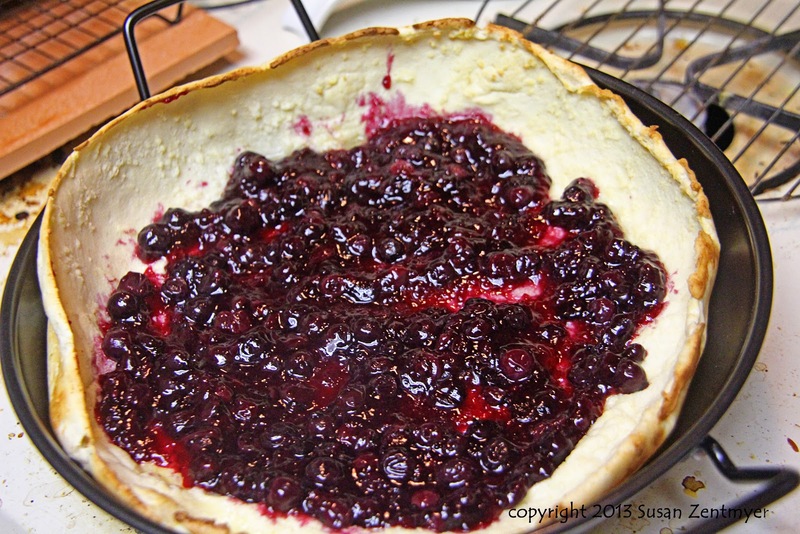 They can be made either sweet or savory, though as I wanted a vessel for my blueberry pie filling that I made last week I decided on dessert. This pannekoeken is designed for an 11 to 12-inch Dutch baby pan or a skillet with rounded sides. This is a five ingredient--five step recipe that really goes together quickly. 1. 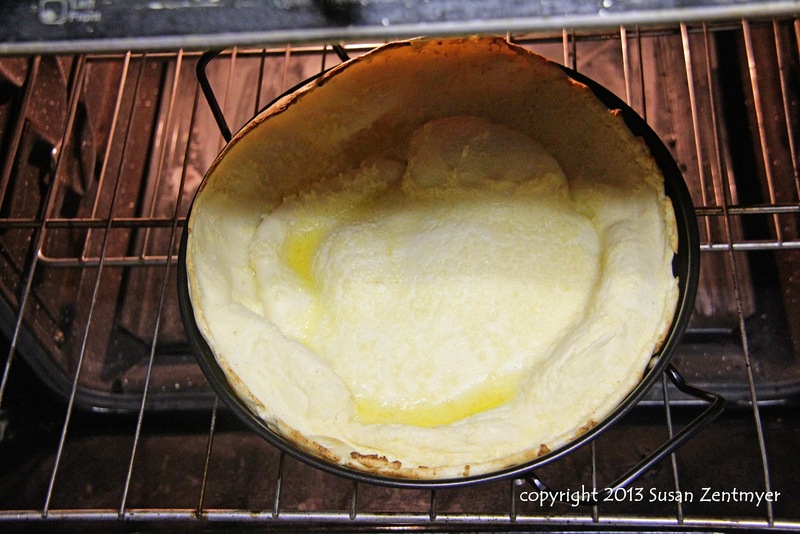 Place the butter in a Dutch Baby pan or an ovenproof skillet with rounded sides. 2. Preheat your oven to 425 degrees. Put the rack in the center, not the top, shelf. When you turn the oven on, place the pan with the butter in the oven. When the oven reaches 250 degrees the butter should be melted. Remove the pan from the oven. 3. Whisk the eggs and the salt in a medium bowl. Add the milk. Whisk in the flour until nearly smooth. Your batter is now ready. 5. 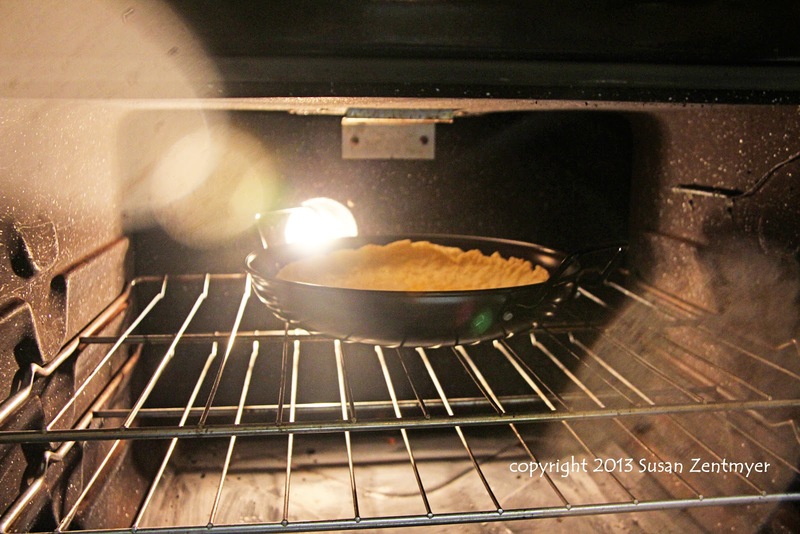 Bake for 15 to 18 minutes or until the top starts to turn golden brown. 6. 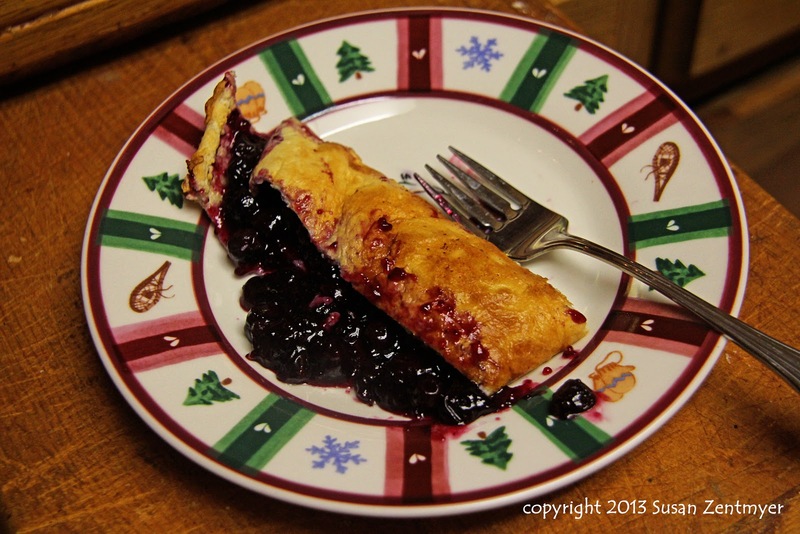 While the pannekoeken is baking, heat the blueberry pie filling until it is warm. 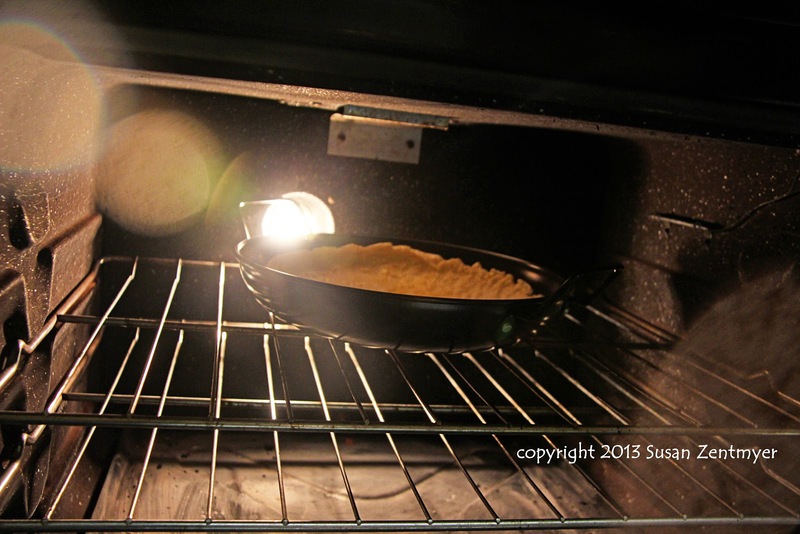 When you remove the pannekoeken from the oven, pour the pie filling into the center and spread evenly. I loved this dessert. Like a cross between a blueberry pancake and blueberry pie. And so easy to make! This is a great recipe to have on hand for when you need a quick dessert that will wow your guests.